How are giftedness, achievement, and guilt related? People find all sorts of ways to define giftedness: High IQ, exceptional talent, 10,000 hours of practice, task commitment, academic achievement, high test scores, straight A’s in school, Nobel prizes, eminence, etc. Typically, high achievement is the main requirement. If you don’t fit into the high achiever category, your teachers, relatives, therapists, and pets may not think that you’re gifted. And you may agree with them. Not so fast, sweetie pie. Can I call you sweetie pie? 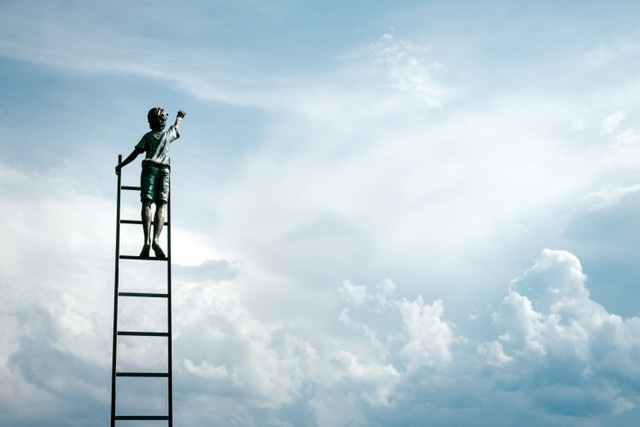 In my humble opinion, based on my many fabulous years communing with gifted kids and adults, high achievement may or may not be part of the picture. And what is high achievement anyway, I ask you. Wealth? Awards? Good grades in school? Celebrity? iPhones? But I digress. The gifted humans that I know were born with their rainforest minds. Whether they’re creating masterpieces or not, they’re highly: sensitive, intuitive, empathetic, curious, perfectionistic, analytical, creative, smart, and emotional. They’re obsessed with learning when they’re interested in the topic. And, their interests are many and varied. They’re fast, deep, and wide thinkers. Feeling like you’re disappointing your parents and teachers. Being impatient with slower people and excelling at everything you try. Changing jobs every 2-5 years. Not living up to your own high standards. Not living up to your potential. Not saving the world. Those are just some of the reasons for guilt. Looking for more? Read this post. And this one. And, yes, even gifted “high achievers” can feel guilt. Such as: When is your achievement high enough? With all of your success, why are you still depressed and anxious? If you’re so smart, why are you so lonely? The achievement-thing, the guilt-thing. They’re tricky if you have a rainforest mind. Having a rainforest mind, being gifted, may involve designing energy-efficient electric cars and sending rockets into space. It may involve intense compassion, empathy, intuition, and generosity. That all sounds like high achievement to me. And, I promise not to feel guilty about it. To my bloggEEs: How do you define achievement? When do you feel guilt related to your smartness? Can you describe how you deal with pressure to achieve “greatness” because you’re “so smart?” Thank you for reading and sharing your thoughts and feelings. I’m writing a little less often (I’m feeling guilty!) because my body has been tweaking out a little from all of the sitting/typing. But know that I’m still thinking about you. If you want to read posts from other bloggers about giftedness and achievement click here. And, finally, please know that I’m not saying that you shouldn’t find your work/purpose in the world or you needn’t make a significant contribution. I’m just suggesting that your giftedness isn’t dependent on what you do. It’s much more about who you are. Tags: achievement, empathy, gifted, guilt, intelligence, sensitivity, success, underachieving | Permalink. I’m glad to see more and more people talking about this high achievement thing. I recently stumbled across the 2011 monograph that proposes re-defining giftedness as “eminence” and high achievement, and found it so disheartening. I’m grateful that there are people out there talking about the reality of having a rainforest mind. We do exist, no matter what name is applied to us! Thanks for the GHF blog hop link, too. I rambled on about this over in my blog, if anyone’s interested: https://counternarration.wordpress.com/2018/01/09/on-the-naming-and-describing-of-giftedness/ I already do Hoagie’s hop; looks like I should get in touch with GHF, too! Jessie, you will be pleased to know that the push-back on the eminence crap concept was strong and, while its adherents are still out there, it has not taken permanent root in our gifted instituions. Josh, that’s such a relief! Thanks for your link, Jessie. Yes, you should get in touch with GHF! Paula, I can talk forever and ever about guilt. A friend of mine who is also a Rainforest Mind turned me on to your blog some time ago and I love reading it. 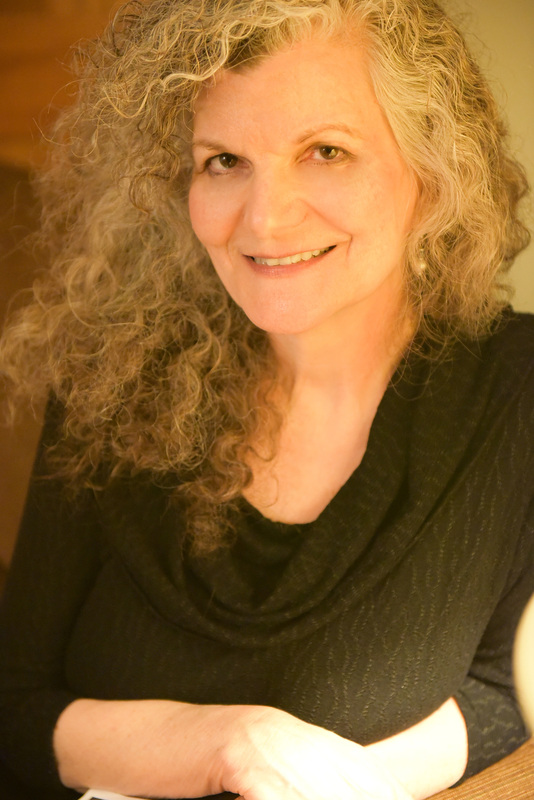 I have turned 60 recently and am just feeling like I can come back into my own style of smartness after years of being “not good enough” – but returning to guilt let’s say that it is high on my list of issues. When I was working full speed (before my daughter was born and let’s say for the first 10 years of her life) I often had “imposter’s syndrome” feeling like although I was doing the work…I didn’t have the right to be doing the work and if I didn’t do it all the time and perfectly I would be found out to not be very smart. So I had guilt about success and guilt that I wasn’t good enough at the same time. Gulp. The other type of guilt I have felt ever since I was young was feeling guilty whenever i was doing something that I loved and enjoyed. Something akin to it not being fair that I was having fun even though I was accomplishing something? That I was only good enough for drudgery….even though I could, and liked to shine? I hope that within the framework that you see people about that somehow you understand this as it is really only recently that I have come to the realisation that I have this kind of guilt as well. And I would be curious to know if this is more common in Rainforest Women then Rainforest Men? Thanks for sharing these. And, yes, guilt for doing something you love. Yes. Important to add that one to the list. I’ve seen this guilt issue in both genders but let’s see what others have to say in the comments. That’s an interesting question. I’m about the same age as you, so I’ve lived a long while. I’ve experienced a lot. And it’s been my observation that, women struggle with inferiority feelings, almost all women. But men, hmmph! They have a ‘superiority’ complex, in my observation. This last statement will raise the ire of some males, but nevertheless, I observe it all the time. Although women have accomplished more in the sphere of work and ‘out there’, male accomplishment still receives the most attention and accolades (from other males) than does female accomplishment. So, it’s only normal to feel we’re somehow inferior. Even though we are as smart or smarter than a certain man, say for example, in a work setting. I’ve read about studies which have found that men commonly overestimate their aptitudes or accomplishments, while women (of course!) underestimate theirs. Interesting, Beth. I’ll be curious to hear from others. The gifted men that I’ve worked with over the years struggle with similar issues of guilt. Sometimes, they can feel more pressure to be “successful” because of the traditional views of masculinity. I observe similar and studies back it up. But I have worked in financial services where I don’t see as many “gifted” men. I read the book “Quiet” which talked a lot about this phenomenon and how us “quiet” and dare I say, gifted? people are not the ones to toot our horn or talk the loudest and most often. This… ^.. Hits the spot. I’ve been feeling a little down of late. Questioning myself, my job, my ambitions. Feeling guilt for not trying to reach for the highest… And today I enrolled for a mindfulness practioner course, hoping that, if not others, I can at least learn to help myself. Reading this post, made me focus on me, and who is driving my bus! Thank you so much, your posts (and your book) always enlighten my day! Thank you for the lovely (or should I say fabulous) blog entry! I do understand that you’ve phrased this as about those you’ve known, but I also know that some folks reading this will take it as a definition, just as they take the “high achievement” benchmark as a requirement when it isn’t. I know gifted humans who are not highly sensitive, who are not intuitive, who seem to lack much empathy, who exhibit little or no perfectionism, etc. And some of them are highly narrow and singularly focused, with next to no interest outside of the specific area of their obsession. Further, there is a substantial group within our gifted community for whom “fast” is almost never the descriptor. They are deliberate in their thoughts and slow to come to conclusions. Deep, they are. Fast, they are not. And, again, I *do* know that this is a blog entry, not a text book, so there is only so much time or space for writing, but I thought these were important distinctions to make (obviously). As for your writing frequency and your health, thank you for taking care of yourself… and, if you have not already, consider getting one of the small electronic recorders and a headset and talk out your columns as you walk, for later voice-to-text transcription! That way we would continue getting the flow of your thoughts without your needing so much sitzplatz! No, please not audio! I am loving having a blog to read rather than following links to podcasts … I need to see things in print! This rainforest mind needs print, to see, to be able to mull over thoughts rather than have to keep going because the speaker keeps going. (I know, pause buttons, but I want to respect the speaker and hear the flow, too.) Plus, kids in the house. Not to worry, Kristen. I won’t stop writing! I love it too much. I enthusiastically second Kristen’s comment and add that I laughed to find this here, and realize that this is yet another thing that other RFMs may well relate to. People are always sending me videos and audio files these days. I find them simultaneously too slow in general whiel also tending to leave me behind when I stop to ponder. I so appreciate what you’re saying here Josh. 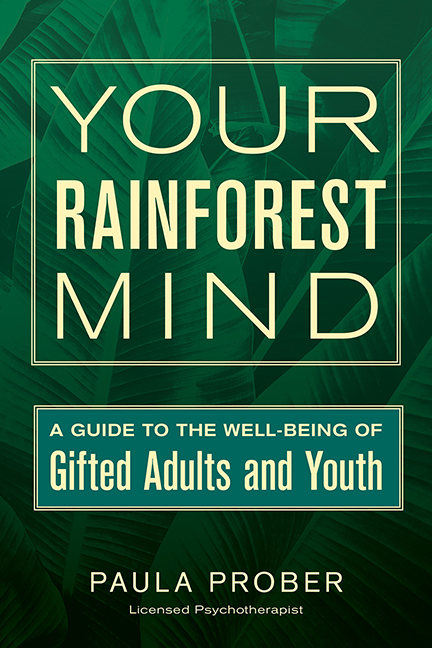 On this blog, I’m focusing on what I call the rainforest mind type of gifted person. And that type has all of those traits. I totally agree that there are other types of gifted folks as you describe. And thanks for the tips for writing. I’ve actually been getting some bodywork that’s helping: acupuncture, massage. And reading Katy Bowman’s work. Thanks for sharing. Josh, this is quite interesting. I recall talking to Paula in previous comments about the gifted people out there who are not rainforest minds. It does seem like there are several different gifted “tribes,” if you will. I’d love to hear Paula’s take, perhaps in another post, about how RFMs fit in the broader spectrum of giftedness, perhaps so we don’t measure ourselves against others who are admittedly also gifted but from a different gifted tribe. Back to Josh’s comment: I also am one of those deep-not-fast people, so thanks for the shout out! You’ve raised some really interesting questions regarding exactly how ‘giftedness’ is defined…. kind of tricky, isn’t it. There’s this nebulous region, in which the distinction between a gifted person versus a highly intelligent person, is blurry. A person can be ‘gifted’ but of course being human, perhaps they’re quite self-preoccupied, narcissistic. Maybe they hate the world, or have a chip on their shoulder, and so seem to lack sensitivity. So then the question is, how does one measure this trait, ‘sensitivity”? Is it based on something that’s objective and quantifiable? Like, oh, she gives lots of money to the humane society. Or, he is such a talented painter. Or is strictly defined in interpersonal terms. Is that your basis? I was wondering. The question of who is gifted is a huge one for sure and has been debated as long as I’ve been in the field. What I’ve seen is that there are people who are cognitively advanced, say in a particular academic area, so they perform at a gifted level in that area. But they don’t necessarily have all of the RFM traits that I list here. I don’t spend much time in the controversy around definitions of giftedness although I did step into it in this post. I think we can probably agree that it’s “tricky” and “nebulous” like you say, Beth. And the question, Beth, of how one measures sensitivity or what we mean by that. That’s another good one. I suppose there could be a whole blog just about that. I wonder if Elaine Aron defines it in her work about sensitivity. Such an important message about guilt. So many gifted people feel tormented with guilt over supposedly not achieving what they think they should achieve. Great article. There’s also the thing of moving the goalposts on yourself. Write a novel. No, write a bestselling novel. No, write a best selling novel that gets made into a blockbusting film…. no, one reviewer didn’t like the film and now everything I have done is worthless…. and it’s hard to get started when that kind of thing lives in your head, and when it’s so easy to be derailed by negative feedback. I try to focus on what good I can do for individual people. if I write a blog post and one person finds it useful, if one person likes my book or my song or whatever it was this week – then it was worth doing. there’s something magical about only having to touch one person to make it worth trying to do something. Yep. Moving the goalposts. It sounds so painful, Nimue. Whatever it is, it’s never quite good enough. It’s a complex issue because there can be many reasons including the highest standards for one’s work and also growing up with lots of criticism. It sounds like you’ve found one way to cope. Thanks for sharing. I’m sure others will relate. I guess success or achievement or results can be interpreted doing a distinction between a inner scorecard and an external one. This concept comes from Warren Buffett actually! What may be success for someone may seem as useless for society -or easy-… but for this specific person it may be a great success. Imagine a agoraphobic going to a rock concert, it may be an incredible success! For some, just a concert. So trying to balance success more from an inner perspective may be a soothing practice for a lot of RFM! I guess it’s a time dependent, context dependent, possibility depend concept. For someone from a slum, just being able to go to university may be an achievement. For an oversensitive adult, being able to handle and accept his emotions may be a phenomenal success. A couple of month ago, here down in Argentina, a picture of a boy crying with his grandpa become viral. He would walk many miles to go to school each day, in a very poor region of the north of Argentina. They cry together because the kid was the first in his family to finish school and was awarded as the best student. On a practical level, i guess learning to design goals is an underrated skill. I love personally the NLP and Tony Robbins books because they help me to understand my inner scorecard. On a more scientific level, RFM may work mostly from their right hemisphere who really don’t get what time is in a linear fashion. I love the perspective of an inner or outer score card. And how achievement or success depends on who you are and the conteXt. (the small X on my laptop doesn’t seem to be working!) Thanks for sharing your thoughts, Alex. Paula, I’ve been teaching an online course for a few weeks on Dabrowski’s Theory of Positive Disintegration. Today, we were discussing the Dynamisms and I spent more than a little time discussing Feelings of Shame and Feelings of Guilt in a Dabrowskian context. The focus there is not on eliminating guilt/shame, but on using those feelings as part of one’s growth process. That doesn’t mean one must embrace the mission of curing cancer (or whatever world-changing exploit one feels one has fallen down in), so much as it means figuring out how you need to change to live up to the values you aspire to. Authentism is, of course, another dynamism, largely at the next level, but I think very much tied to the determination of just who one means to me and how one can best be that person. Part of that, for me, means having guilt/shame tied to honest assessment of the mix of effort and aptitude. Honest assessment ties to both the above discussion around Imposter Syndrome and to knowing when things *are* outside one’s scope. Fascinating, Josh. I don’t know the Dynamisms. I’m actually only a surface Dabrowski follower! Thanks for sharing. If one grows up in an atmosphere in which everything is compared and potential is assumed to be unlimited, and one finally learns that perfectionism and comparison with standards (attainable or unattainable but not written by me) are happiness killers, it becomes a lifelong struggle to “succeed,” to live up to expectations, no matter whose. Sometimes I envy those who grew up thinking or being told they would never succeed because at least the goal line can be seen. Sounds like enormous pressure. Unlimited potential…eek. Thanks, Iowan42. The focus on achievement has always seemed very classist/racist/sexist to me. Because who has the easiest time and the best chance of “high achievement” and “success” as our current society defines those things in our current social setup? Sure ain’t me, what with my ovaries and uterus and my rural working class background. Focusing on it also keeps the whole controversy and stigma about giftedness going, because defining it as achievement in our society as it currently is ends in things like giftedness being an entry on the blog “Stuff White People Like”, and a lot of people start assuming that if you even just mention the word gifted then you’re upper middle class, white, prejudiced, arrogant, and ignorant of how things actually work. And then people start cutting gifted education programs in the name of “equality”, and all the upper middle class white parents homeschool, move to another school district, hire tutors, etc., and it’s the working class and minority gifted kids who get left without a chance of an education suitable to their abilities. This attitude is so insidious that I have actually seen people argue against gifted programs with “who’s to say that the children of hairdressers and cashiers won’t contribute to society?”, because apparently it does not occur to them that the children of hairdressers and cashiers can be gifted. I used to work in fast food. I know for sure at least two of my coworkers were gifted. One grew up living in cheap hotels with his mother, who was addicted to drugs. He’s trying to make it as a stand up comic now. But he wasn’t identified in school and he definitely didn’t go to schools with a decent gifted program, because people like him can’t be gifted, right? So, my definition of success is this: I am very happily married, I am co-caretaker to many beautiful lovely cats who needed a good home, I have a job I can emotionally tolerate, and I’m good at writing, and the writing I share online helps people, like the young girl who told me that one of my Sims stories helped her get through her mother’s dying from cancer. It takes a good deal of luck, from being born to parents with a lot of resources to getting enough lucky breaks, to achieve the mainstream idea of success. It has very little to do with giftedness. Well said, medleymisty. I love how the comments on my blog make it so much richer. Thank you to all of you!! Wow, I’d never considered this connection. It’s made me think. Thanks for writing and for joining us here!